Browse: Home » 2018 » September » 10 » What’s in My Bag @Cole_Watts? Hey guys, by now you may have seen online that I got a new bag. After my Messenger Bag got ripped, it’s nothing short of ironic that Waste Industries, my current employer, gave away new bookbags as part of an employee appreciation event the following week. 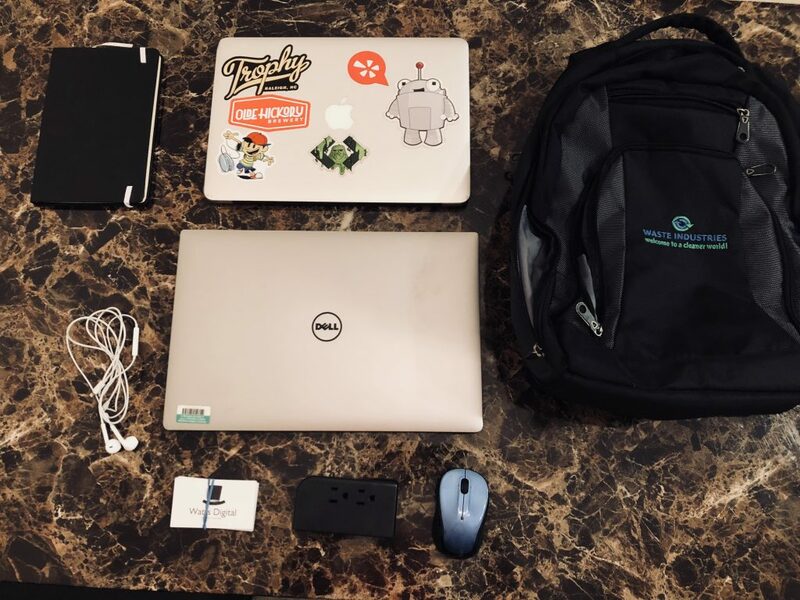 Well…as I was recently transitioned from my old bag to my new one, it got me thinking of the things that we all carry with us as tech and marketing professionals. All of our bags are filled with items and accessories, based on our own experiences and even the Verge has a “What’s in your bag?” series. In honor of that, I figured I’d share with you guys what I carry in mine. Okay, I’m a bit weird on this one. Most people know me as the “two laptop guy” as I often almost carry with me two computers everywhere I go. My personal machine is a 2014 Macbook Air. My personal machine and something I’ve been rocking since early 2015, this Macbook has a super thin design and weight, making it my preferred machine when I’m in traveling and working remotely. It may not be the most powerful device, but it’s size and weight make up for that. My work machine from Waste Industries, however, is a bit different though. A Dell 5510 , my work computer isn’t as light as my MacBook but makes up for it’s lack of weight with a touchscreen, and more memory and power then I’ll probably ever use. We all have computers, but it’s always the accessories that make the person. The old school Apple EarPods are what I still rock to this day. Say what you want about having a cord or the sound quality, but Apple’s EarPods have been go-to to buds since Apple announced them with the first iPhone. As a runner and gym go’er, I can wear these things and not worry about them falling out of my ears on a track or in a forest, which is why I prefer them over cordless headphones..
Shout-out to Daily Tech News Show’s Tom Merrit for the suggestion a few years ago, to carry your own Surge Protector. Often times we’re going to be in places that we need an extra charger or wall mount and this portable travel charger does the job. Not only does it turn one port into three, but it also gives you two USB Chargers if you need them. Logitech Mouse – Sometimes you’re going need a mouse, it’s just plain as that and while the portable mouse I carry may not be the preferred mouse of gamers it’s small and convenient for those who need a mouse for a photoshop project or a simple game. Besides computer and electronic items, I do try to keep a few other things in my bag at all times. Business cards are a must of course because you never know when you’re going to need them. Though I’m on LinkedIn(connect with me if you haven’t), many people still use business cards like they are currency. I usually keep a professional collection of cards from my day job and my freelance work and then give out depending on the person’s need. Notebook and Pen. There are some people who swear by using moleskins notebooks and though, I don’t have a personal preference on notebook, notepads, and the such, I try to keep some kind of writing utensils with me at all times. What about you? What do you use in your bag? 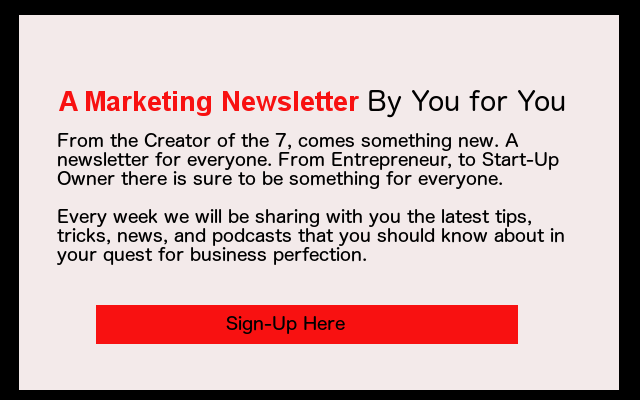 Write it on your blog (or LinkedIn), send it to me at ColinWWatts@gmail.com and I’ll link to it in this post.